How Much is Meghan Markle’s Maternity Wardrobe Worth? The Duchess of Sussex seems to enjoy her pregnancy a lot, a pregnancy which is quite an expensive one. In fact, it has been assumed that Meghan Markle’s maternity wardrobe is seven times more expensive than Kate Middleton’s. However, that’s not all, Meghan has even broken the royal protocol with the New York baby shower which allegedly cost $200,000. So, let’s see how much is, in fact, Meghan Markle’s maternity wardrobe worth and everything there is to know about it. Over the last eight months, we’ve seen the Duchess of Sussex on plenty of public appearances and royal tours. 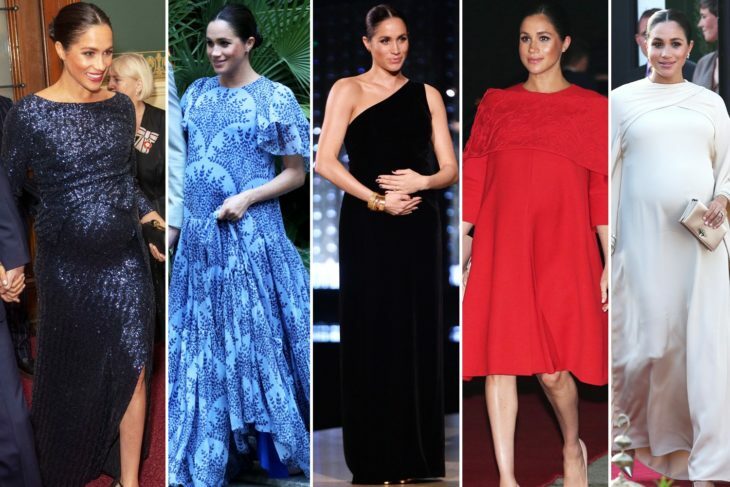 On all of them, Meghan wore stunning maternity looks, which were definitely fit for a royal. In fact, we’ve seen Meghan in 75 maternity outfits. The stunning maternity wardrobe looks are worth over half a million dollars. She has worn some affordable outfits, including ones from Aritzia and H&M, but the rest of it is made from designers. Hence, it has been assumed that her total maternity wardrobe is worth over $600,000. In fact, it averages around $8,485 per outfit. 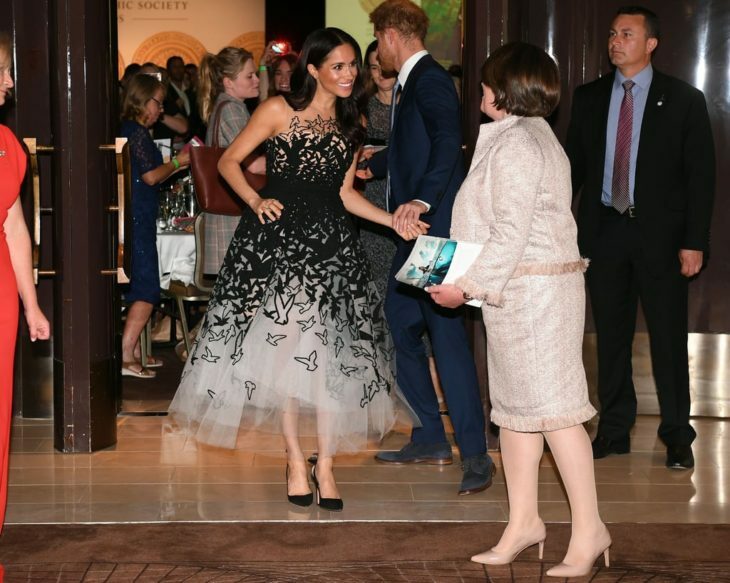 Meghan wore outfits from designers, which thanks to her enjoyed an uptick in search volume and sales. For instance, the white shift dress Meghan wore on her Australian tour was by Karen Gee, a designer who experienced a 5,800% increase in search volume, which ultimately crashed the website. Another company which saw an overnight increase of 300% search traffic was Veja, the company behind Meghan’s sustainable V-10 kicks. Who Pays for Meghan Markle’s Maternity Clothes? There is no information on whether the Duchess of Sussex pays or borrows the clothes from designers. For example, one of the most expensive outfits she wore, the $13,000 Oscar de la Renta dress, is probably borrowed from the designer. 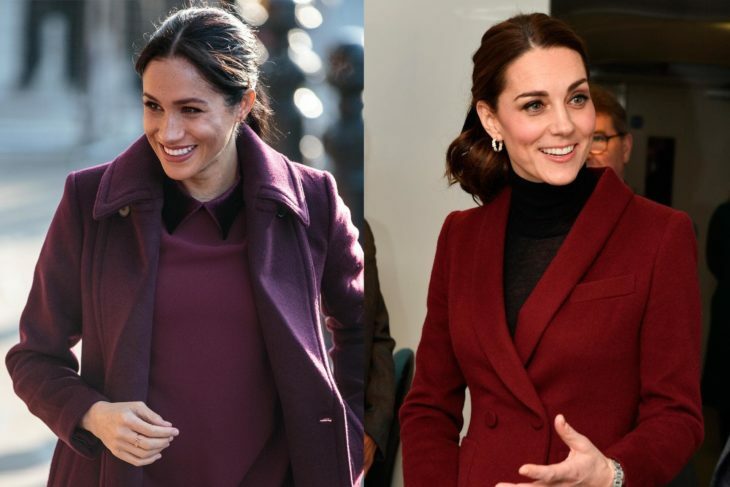 If we compare the maternity wardrobes of the two Duchesses, it’s obvious that Meghan’s one is worth a whopping seven times more. However, Kate has also worn some high-end designers during her pregnancies, including Alexander McQueen, Jenny Packham, Erdem, and Dolce & Gabbana. She also wore some very affordable pieces of clothing. However, the Duchess of Cambridge has saved some of her favorite clothes from her first pregnancy and wore them during the next ones. On the other hand, Meghan Markle’s maternity wardrobe is much more expensive, but that doesn’t mean she paid for all those outfits. Probably most of her maternity wardrobe is loaned to the Duchess by the designers. 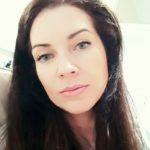 Home » Celebs » How Much is Meghan Markle’s Maternity Wardrobe Worth?